Israel’s History Cannot Be Denied – I Am Not Ashamed Of The Gospel Of Christ! ​Israel’s history and the history of The God Of Israel is in the Book. And still its enemies deny this. Iran of all countries knows better. 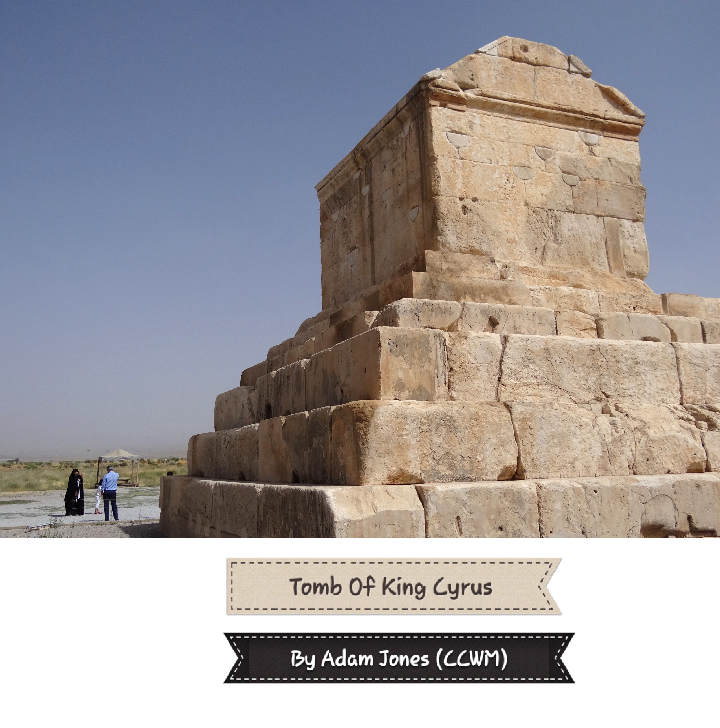 The Great King Cyrus not only recognized our God but commanded the return of exiles to rebuild Gods Temple in Jerusalem. And still they deny that Israel ever existed. And still call for its destruction. Its time for Christians to know what time we are in and what we are facing. Now in the first year of Cyrus king of Persia, in order to fulfill the word of the LORD by the mouth of Jeremiah, the LORD stirred up the spirit of Cyrus king of Persia, so that he sent a proclamation throughout all his kingdom, and also put it in writing, saying: “Thus says Cyrus king of Persia, ‘The LORD, the God of heaven, has given me all the kingdoms of the earth and He has appointed me to build Him a house in Jerusalem, which is in Judah. ‘Whoever there is among you of all His people, may his God be with him! Let him go up to Jerusalem which is in Judah and rebuild the house of the LORD, the God of Israel; He is the God who is in Jerusalem. Orupto, we do not send messages. WordPress gives you the option to follow and receive our blog posts via email. But we cant control that from our end. Look at the bottom of the email you received of our post and you should see a link to unsubscribe from further notifications. Thank you.